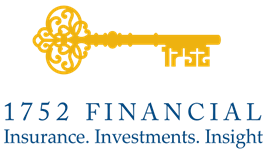 Life Insurance | Matt Brotherton - 1752 Financial, Inc.
A life insurance policy is more than just funeral expenses. The right policy for you might cover your mortgage so your family can stay in their home. Or it might be for your child, to protect their coverage in case of future illness. Life insurance can even provide an inheritance you may otherwise be unable to give. Life insurance is not a once-size-fits all solution. We can help you choose the best plan, based on your family’s needs. A term life insurance policy is a policy designed to cover families during the most high-risk times, usually for a period between 10 and 30 years. You might choose a term life policy to protect your family while you are paying off your mortgage, or while your children are underage. Term life policies are an ideal option for those looking for a more budget-friendly way to protect their families and lifestyle. And they aren’t just for “breadwinners” either. If a stay-at-home parent dies, the term life insurance policy can provide the funds needed for a caretaker for the children. Whole life insurance policies provide coverage throughout your lifetime, and can offer a wider range of options than term life. Whole life policies provide end-of-life coverage, and can also act as another investment option, building wealth for your heirs. Whole life is a great option for people who want to provide an inheritance, or are concerned about tax implications related to their estates. It can even generate an extra source of retirement income. The most important thing life insurance provides in peace of mind. Of course, no one wants to think about what will happen in the event of their death, but knowing that you have a plan in place for your loved ones will give you the relief and security you deserve.